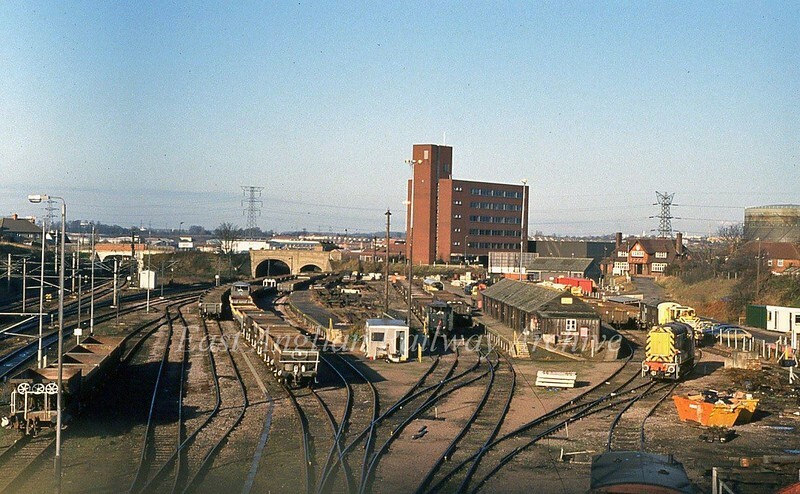 Ipswich, East Suffolk Junction on 30th November 1993. The East Suffolk line diverges to the right under the bridge on Hadleigh Road. Picture taken from London Road Bridge. There is still some activivity in the yard.